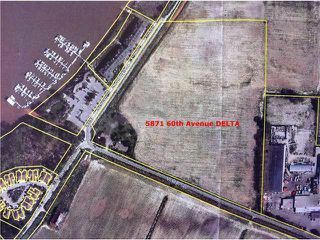 Do not miss the important parcel of land right at the corner of River Road & 60th Avenue in Delta. This property is zoned I1 (Light Industrial) and is under ALR at this time and has a total of 21.45 acres confirmed in Delta Municipal Map records. At present, there is a livable house and 2 storage barn on the property. This valuable site near Delta Town & Country Hotel and Restaurant. Easy access by HWY 99 from Vancouver and the site is near Townhomes development and Hotel across from River Road. This farm acerage includes a 3-bedroom house w/recreation room, workshop, barn & garage. Property was tenanted previously. Located within close proximity to Captain Cove Marina, Deas Island Regional Park, Delta Millennium Trail, Deas Island Link, Residence at River House, River Woods Town Homes & Delta Pacific Seafoods and also within a boat launch. 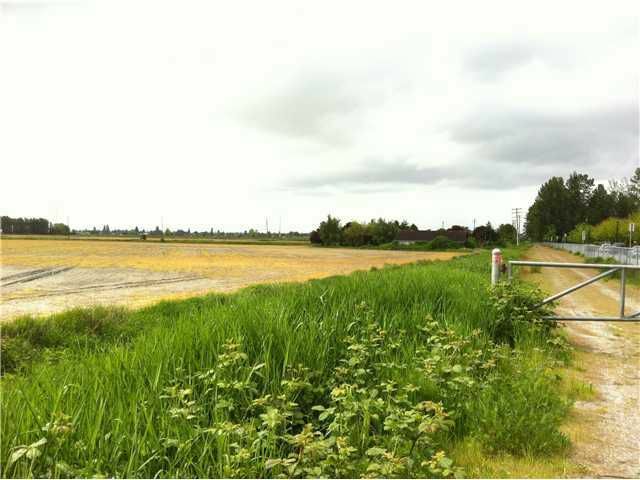 Property is only 1.6 km to Deas Island Regional Park & 1 km from Massey Tunnel Bike Shuttle.